When your cruise ship docks in Kuala Lumpur, discover top attractions with ease on this 6-hour Kuala Lumpur city sightseeing tour. 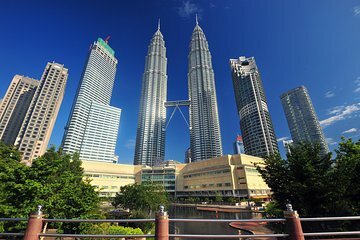 Enjoy a 1-hour sightseeing drive through Kuala Lumpur and see famous landmarks including the Petronas Towers and the National Mosque of Malaysia. Admire Royal Guards on horseback at the King's Palace and gain insight into Malay heritage. Discover Malaysian cultural artifacts at the National Museum and enjoy a moment of tranquillity at Lake Gardens. Numbers are limited to six people on this small-group shore excursion, ensuring a personalized experience.